Many investigators have the wrong idea about AC EMF meters, frequency response, and so-called "calibration" of AC EMF meters. So here it is, a grossly detailed analysis of EXACTLY how AC EMF meters work, their frequency response, and calibration details. Hopefully this will clear up any questions you have about meters, but if it doesn't, feel free to e-mail me at info@ghostgadgets.com. 1. The meters you most likely have in your toolbox are called "AC EMF Meters". They measure the derivative (rate of change) of the surrounding magnetic field, so by definition they are only sensitive to changing magnetic fields (fields with a frequency above 0 hertz). Don't just call it an "EMF Meter", because under this title, it is assumed that the meter is sensitive to all EM frequencies - which isn't the case at all (only a static magnetic field meter will show you 0 hertz (static) fields, etc. - there are dozens of different frequency ranges meters are built to measure, from ELF, to visible light, to X-Rays), your meter's MAXIMUM frequency response is normally from about 13 - 100,000 hertz (it depends on the meter, comparison charts for many meters are available here). Most AC EMF meters are most sensitive to frequencies of about 30 - 10,000 hertz, while some have a wider response. Adding the meter's frequency range (mostly likely "extremely low frequency", or ELF for short) is necessary in reports, because electromagnetic fields can range from 0 hertz, all the way through UV light, X-Rays, and beyond. In a report, calling the meter an "AC EMF Meter (13Hz - 75kHz)" is much better than just saying "EMF Meter", because it tells the reader much more specifics about what was being measured. If you don't know the exact frequency range, just use the frequency range allocated name (most likely "ELF"). Whether the meter is frequency-weighted or nonfrequency-weighted is also important to include, but we'll talk about that in a minute. 2. USE PROPER UNITS OF MEASUREMENT! What people don't realize is there are many units that magnetic fields are measured in. I see so many reports that just say "EMF reading of 4", but what was that 4? Was it 4 nanoTesla, or perhaps 4 microGauss, maybe 4 webers, or how about 4 hertz? Most people assume that all EMF readings are in milliGauss (mG), but you can't always assume that. In fact, the SI unit for magnetic fields is the Tesla! If you needed 5 dollars - you wouldn't run up to someone and shout "Give me 5, NOW! ", would you? If you do, most likely you'll get a slap on hand instead of the $5 you really needed (that was a horrible example...). So, it's important that you specify units, in the case of magnetic fields, most will measure them in milliGauss, or "mG", but the unit of measurement you'll see in peer reviewed journals is the nanoTesla, or "nT" (1 nT = .01 mG) - adding units makes your reports consistent, as well as actually usable by other scientists and researchers. All an AC EMF meter really consists of is an inductor (coil) connected to an amplifier, similar to an audio amplifier. An oscillating (AC) magnetic field will cause a tiny AC voltage, say 1-4 millivolts, to flow through the inductor, which is then amplified several thousand times to, say 1-4 volts. The result is an analog signal, whose frequency is directly proportional to the EM field's frequency. That signal is then sent through several filtering stages, which take the oscillating AC output and turn it into a DC voltage output, proportional to the strength of the magnetic field proper. This reading is then sent to the output stage where it is measured, and the appropriate reading in Gauss, Tesla, etc., is displayed. Think back to when you were a kid and you put a voltage across a wire wrapped around a nail to create an electromagnet. The effect is the exact opposite of an electromagnet, instead of voltage through a coil creating an electromagnetic field, AC electromagnetic fields create an AC voltage in a coil, which then can be measured. Remember, these meters are only sensitive to magnetic field changes, so they can only measure a magnetic field that is changing with respect to the meter's placement. As we'll talk about in the next section, the actual sensitivity of the meter depends on the frequency of the EM field. AC EMF Meters come in two totally different brews: Frequency weighted and non-frequency weighted. If you're not sure which one your meter is, most likely it's frequency-weighted (non-frequency weighting is only found in a few more upscale meters, like the MT-263 or DSP-523 meters from Magnii Technologies). Most AC EMF meters are sensitive to a large range of EMF frequencies - typically from 30 to 1,000 hertz for many inexpensive meters, but it could be as wide as 13 to 100,000 hertz. The human body "absorbs" these surrounding EM fields like a sponge - and it will "absorb" higher frequencies more than lower frequencies (though not really "absorbed, a voltage is induced through the body, which can cause some odd experiences if the conditions are just right), the absorption amount is linearly proportional to the frequency. That means that your body will see twice the havoc from a 120 hertz field than it would from a 60 hertz field (120/60 = 2), and four times the havoc from a 240 hertz field (just imagine what a very high frequency could do - that's why UV exposure can cause skin cancer, and why microwaves cook your food...). Most frequency weighted AC EMF meters are built to mimic the amount of energy absorbed by the human body - so instead of giving a true field reading at all frequencies, higher frequencies are "weighted" more as the frequency goes up. That means that an EM field with a strength of .1 mG @ 2 kHz might actually read 15 mG on a frequency weighted meter! You can see that the reading isn't accurate, but proportionate to what the human body would experience. Frequency weighted meters are calibrated to give an accurate EMF reading at 50/60 hertz (the most common EM frequency encountered in the home), and increase somewhat linearly beyond that frequency. After a certain frequency is reached, though, the response peaks out (f = peak on the graph), and at higher frequencies, the response gradually rolls off until it is nearly 0. It turns out that it's also cheaper to build and design an AC EMF meter that's frequency weighted than to build a non-weighted meter, so most are frequency weighted and only calibrated at one frequency (commonly 50/60 hertz). A non-frequency weighted meter, like the UHS and a special version of the TriField meter from AlphaLabs, Inc., gives a fairly flat frequency response, regardless of the frequency. This type of reading is the most accurate for laboratory work, because it will show you the real field strength, instead of a frequency-dependent strength. Both frequency and non-frequency weighted meters have their advantages: Frequency weighted meters will give you the field strength in similar proportion to the way the human body would experience it. This is very useful because most studies show a link between local EMF variances and haunt phenomena, so having a rough idea of the amount of EMF's being absorbed into the body may be crucial to analysis. On the other hand, a non-frequency weighted meter will give you the true, frequency independent field strength reading - which is useful for general readings in a laboratory setting. Using both meters would be ideal - that way, the frequency of the EM field could be estimated by taking readings on both meters in the same location. If both meters showed nearly the same reading in the same spot, then you know the field is at the calibration point for both - 50/60 hertz. If the frequency weighted meter gives a much higher reading than the non-frequency weighted meter, then you know that the frequency is much higher than 50/60 hertz, which could help in data analysis, and in finding the source of the EM field. Comparison charts with typical peak sensitivity frequencies for common AC EMF meters are available here. An AC magnetic field is oriented the same way a regular bar magnet is, only the N-S fields are constantly switching at a given frequency (50/60 times per second for powerlines). A current will only be created in an inductor if the magnetic field poles are pointing almost the same way, meaning the magnetic field lines are oriented the same way as the coil. Here's the most important thing to remember - magnetic fields are VECTOR fields! This means that a magnetic field has not only a strength to it, but also a direction as well. A good analogy to help you visualize this is the wind - it has not only speed, but also direction. If you were trying to accurately measure wind speed, your wind speed meter's axis would have to be facing the wind - if it were angled another way, your reading wouldn't be accurate. This applies to magnetic fields as well - the meter's measurement axis must be oriented the same way as the magnetic field lines to get an accurate vector reading. A single-axis meter has only one inductor, therefor only one axis to read on, so you could be right on top of a strong AC magnetic field, but if your meter's axis is facing at another angle, it may not even register on the meter. A single axis meter only gives the vector field strength along the axis in which it is oriented (most meters will say how the axis is oriented on the meter in the manual). If you're not sure of which angle will give you the right reading, then slowly rotate and tilt the meter at all angles, and the spot that shows the largest reading is where you need to be to get an accurate vector field reading. Remember that this angle/tilt will change depending on where you are - so you'll have to repeat this every time in order to get an accurate vector field strength reading. If you want to calculate a mean RMS field strength reading, then take one reading in a horizontal direction, then turn your meter so it's at a right angle to your last orientation, but still horizontal, take another reading, and then hold your meter in the vertical position and take a reading. The RMS mean (or more appropriately for vector fields, the "magnitude") is calculated as the square root of the sum of all three readings squared, i.e. F = (X^2 + Y^2 + Z^2)^[1/2]) (X, Y and Z are your three readings). If this sounds a bit tedious just to get a simple magnitude reading (because it does to me! ), then I suggest you invest in a three axis AC EMF meter. A three-axis meter has 3 inductors, one on the X axis, one on the Y axis (perpendicular to the X axis), and one on the Z axis (perpendicular to both the X and Y axis), so no matter what the orientation of the EM field or meter is, you will still get an accurate reading. These meters don't give the vector field strength reading, but the TRUE magnitude reading, calculated by the Pythagorean theorem, as shown above (field magnitude F = (X^2 + Y^2 + Z^2)^[1/2]), so regardless of how the meter is oriented, it will give an accurate field magnitude reading. Ok, there it is, a grossly in-depth analysis of AC EMF meters, how they work, their frequency response, and their limitations. On the next page, you'll find an in-depth comparison of many common AC EMF meters, as well as peak sensitivity frequencies charts, and advantages/drawbacks for each one. This article should have answered almost any of the questions you may have had prior to reading it, but in case it didn't, I'd be happy to answer any questions. 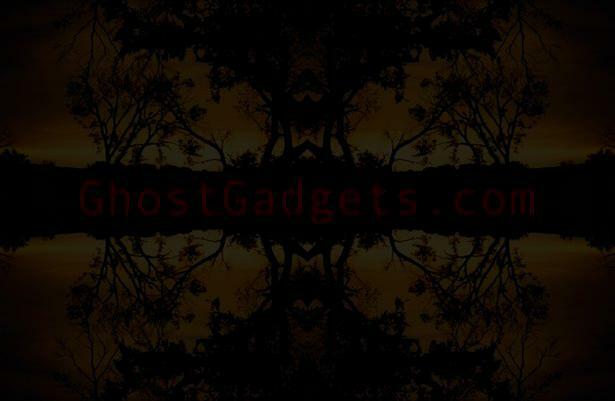 Just e-mail me at info@ghostgadgets.com, and I'll do my best to answer any intelligent questions you may have.